It's been a while, so here's a new update! 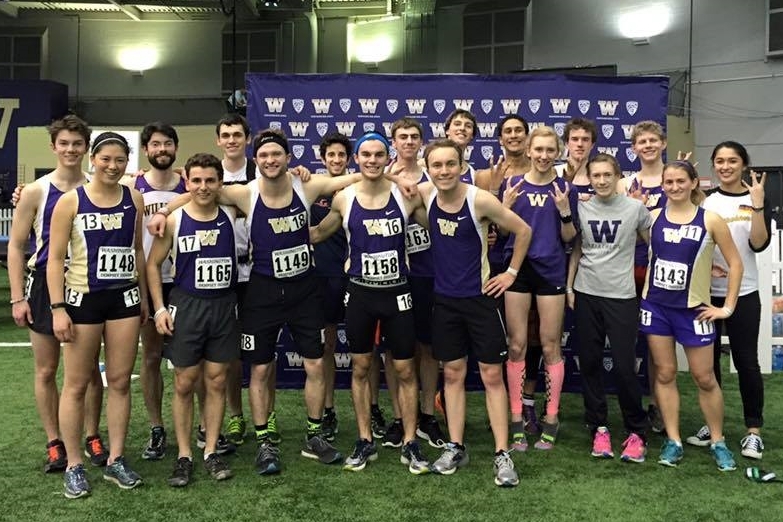 On Friday, Feb 12, members of the Husky Tri Club took to the indoor track to race the 2016 Husky Classic Club Mile. It was a fun event, and we had strong performances all around. A special shout out to Brianna Troksa for winning the women's race and setting a new PR of 5:12! She was joined on the women's side by Teresa Wang, who finished in a strong 6:05. On the men's side, Ian Christen was the top Tri Club finisher, running a blistering 4:34, which was good for 8th place overall. Jeevan Philip, Tim Durham, and Nick Barclay finished close together in times of 4:46, 4:48, and 4:48. They were followed closely by Alex McKennon in 4:53, and Scott Miller in 5:14. Jason Klein and Jaimee Hahn were on hand to cheer on their teammates, and showed great team spirit and comaraderie!